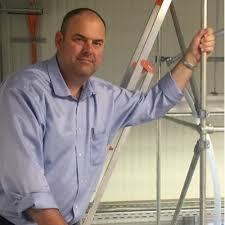 Talga Resources, is pleased to announce further results from development of its active graphite anode product for lithium-ion batteries, Talnode™-C.
Talnode-C is currently undergoing full-cell qualification with a range of technical and commercial partners as it progresses through validation processes. 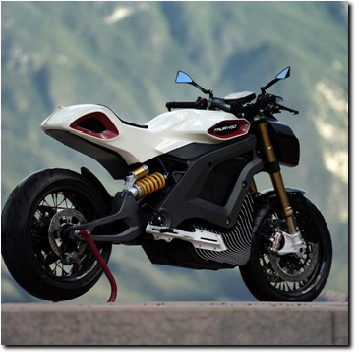 In new tests conducted by IV Electrics, formerly known as Italian Volt and manufacturer of the “Lacama” electric motorcycle, Li-ion batteries fabricated with Talnode-C anodes were subjected to benchtop tests designed to replicate extreme real world conditions and ensure high performance of the Lacama battery pack. 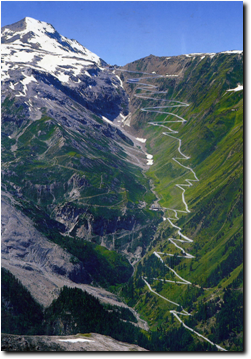 One of these tests is named ‘Stelvio’, after the famously steep road through the Italian Alps and simulates driving up a mountain at high speed. This cyclic test checks the ability of a battery to efficiently collect fast charge regenerative current (from braking) after a high-power discharge (acceleration) in low temperature conditions. Results in running time represents battery cell performance before limits in voltage drop or cell temperature force the end of the test. Results show that Talnode-C containing battery cells outperform the endurance of market leading commercial cells by up to 36%. Furthermore, the tests confirm the fast charge, high power, and low temperature properties of Talnode-C anodes translate well to the full cell-level. In effect this means that a battery pack manufactured with Talnode-C may need less thermal management and materials, reducing cost and weight, while increasing energy density (and therefore driving range) and safety of the battery pack. Talga staff will be presenting recently published performance results of TalnodeTM products at the International Battery Seminar in Ft. Lauderdale, Florida on 28 March Australian time. Talga Resources , ispleased to announce outstanding low temperature test results from its engineered graphite anode product for lithium-ion batteries, Talnode™-C. In freezing conditions Li-ion batteries usually suffer lower capacity retention and cycling efficiency, causing shorter run time of devices such as laptop computers and mobile phones, or shorter driving range of electric vehicles. Cold temperatures can also cause deposits of lithium metal to form in the battery, causing internal short circuits that can lead to fire in the cell, making low temperature performance a critical technical deliverable for Li-ion batteries1. 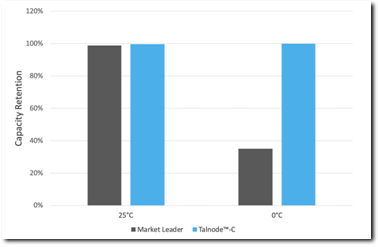 Market validation of the TalnodeTM product range, and in particular the flagship Li-ion anode product Talnode-C, continues as Talga works to incorporate the development of its new class of high-performance graphitic carbon anode products into its long-term business strategy. foundation of a near-term commercialisation opportunity for the Company’s larger scale development of the Vittangi graphite project in Sweden. Li-ion batteries are widely used at room temperature because of their high specific energy and energy density, long cycle life, low self-discharge, and long shelf life2. When charging a Li-ion battery, the lithium ions inside the battery are soaked up (as in a sponge) by the porous negative electrode (anode), made of graphite. Under temperatures approaching freezing (0°C) however, the lithium ions aren’t efficiently captured by the anode. Instead, many lithium ions are reduced to lithium metal and coat the surface of the anode, a process called lithium plating, resulting in less lithium available to carry the flow of electricity. Consequently, the battery’s capacity and cycle efficiency drops and this translates to poorer performance3. 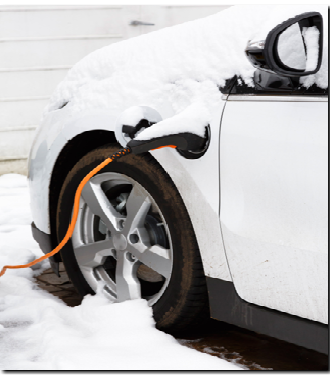 In cooler countries of the northern hemisphere, it has been measured that the driving range of electric vehicles can be reduced by 41% in real world sub-zero conditions4. The most significant negative effect of low temperature on Li-ion batteries is the generation of lithium metal growths called dendrites, which can perforate the separator and cause a short circuit or fire in the lithium-ion cells. A highly visible example of this was in the 2013 grounding of Boeing 787 Dreamliner aircraft following a spate of electrical system failures, including fires. Investigation found that cold winter overnight temperatures fostered lithium plating within the battery cells and caused the short circuits5. Australian advanced materials technology company, Talga Resources is pleased to announce further test results from its high energy graphene silicon lithium ion ("Li-ion") battery anode product Talnode™-Si. Talga Managing Director, Mr Mark Thompson: "The rapid development of our natural graphite anode products for Li-ion batteries have been extraordinary and the continued positive market response to products under development, Talnode-Si and Talnode-X, as well as our flagship product, Talnode-C, support plans for scaling up of Talnode products as part of our vertically integrated business strategy." Talnode-Si consists of a mixture of silicon and graphene particles engineered by Talga to be suitable for existing Li-ion battery manufacturing equipment as a high performance, cost-effective and scalable replacement for standard graphite anode materials. Commercial samples are being prepared, under confidentiality and material transfer agreements, with delivery commencing end of February 2019. Recipients include some of the world's largest electronics companies. Development continues under the Safevolt project, a part of the £246 million UK-funded Faraday program, with Talga partners Johnson Matthey, Cambridge University and TWI. Based on the encouraging test results to date the Company has opted to progress to full cell testing and optimisation of Talnode-Si. Progress on the other Faraday projects, "Scale-up" and "Sodium" is continuing according to plan and updates will be provided as the programs proceed through their individual project stages.